A passenger said the airline informed the passengers the flight will now depart on Monday at 12.30pm. Mumbai: Bharatiya Janata Party parliamentarian Meenakshi Lekhi and her co-passengers were stranded at the Indore airport after their flight to New Delhi was cancelled at the last minute due to "technical" reasons. "Stuck at Indore Airport, people are angry and disappointed by the conduct of IndiGo officials," Lekhi said in a tweet along with a video clip of the angry passengers. The IndiGo flight 6E 8867, operated by an Airbus A320, was scheduled to take off at 9.20 pm, but the airline informed the passengers that the flight was delayed by half-an-hour. "Fifteen minutes later, IndiGo announced that it had cancelled the flight due to technical reasons," a passenger said. "The airline also informed the passengers the flight will now depart on Monday at 12.30," he added. 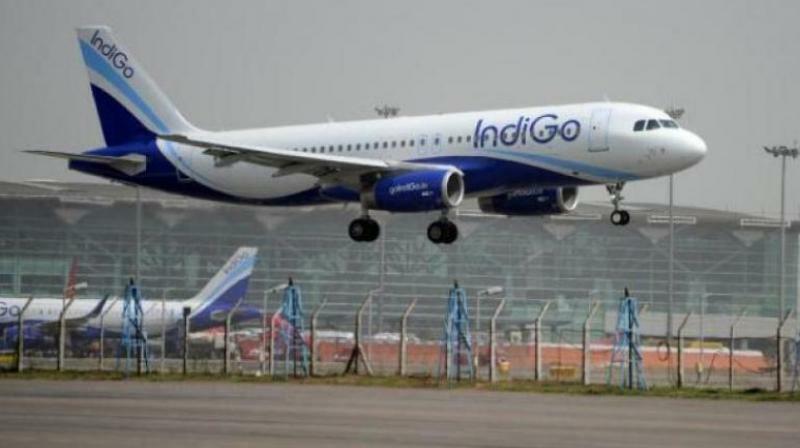 The passengers also claimed that the airline did not accept the request for providing food or hotel accommodations, alleging that the IndiGo staff was not at all cooperative. IndiGo officials could not be contacted for comments.